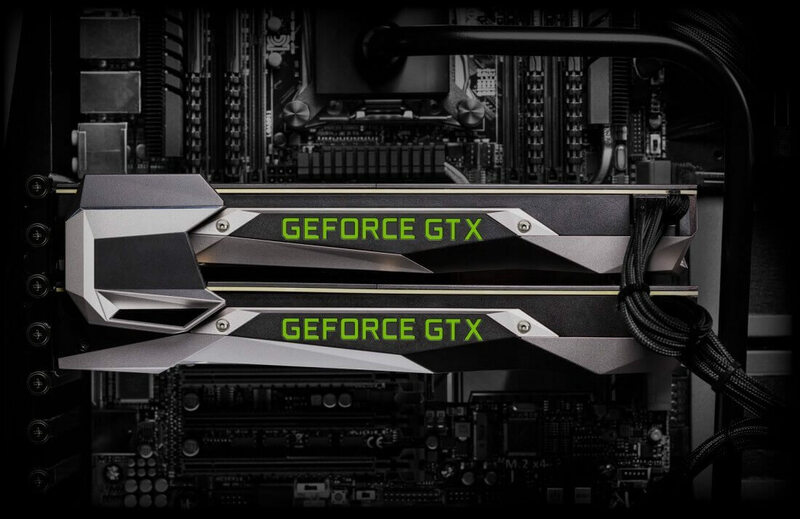 Highly anticipated: Enthusiasts and budget gamers alike have been eagerly awaiting information regarding Nvidia's upcoming 11-series cards. Fortunately, that patience could be rewarded soon. Select journalists have reportedly received invitations from Nvidia to a PC-related event at Gamescom next month, adding credence to the rumors that the company's upcoming GPUs would be unveiled this fall. Not much is known about Nvidia's upcoming GTX 11-series GPUs. Preliminary specs for the GTX 1180 seemed to have leaked a couple of months back, but beyond that, the company has kept journalists and customers alike in the dark. Indeed, Nvidia recently went so far as to say that their new GPUs wouldn't be arriving for a "long time," causing many to lose faith in reports that the cards would be shown off this summer. While that's partially been proven correct -- the cards weren't shown in June, and likely won't be revealed in July -- it now seems likely that the 1180 could be unveiled during August, at major German gaming conference Gamescom. Several separate hints back this information. First, private invitations to a PC event at Gamescom have been sent by Nvidia to select journalists, according to Videocardz. While these invitations do not explicitly mention new PC hardware, they reportedly promise a "hands-on presentation" of the latest PC gaming titles. This sort of presentation would be the perfect time for Nvidia to show off the power of their newest hardware. Additionally, a Lenovo representative recently mentioned Nvidia's 11-series cards without reservation in a recent YouTube video, letting slip that the cards could be revealed sometime this fall. Whether this was a mistake or not is unknown at this time. Finally, on June 23, Nvidia's Twitter account manager strangely tweeted a "Happy Birthday" message in memory of Alan Turing, who is widely considered the father of computer science. For the unaware, many feel Nvidia's next line of consumer GPUs will contain "Turing" architecture. All of these hints could be mere coincidences and not indications of what's to come, but Gamescom is only a month away, so we won't have to wait long to find out for sure.